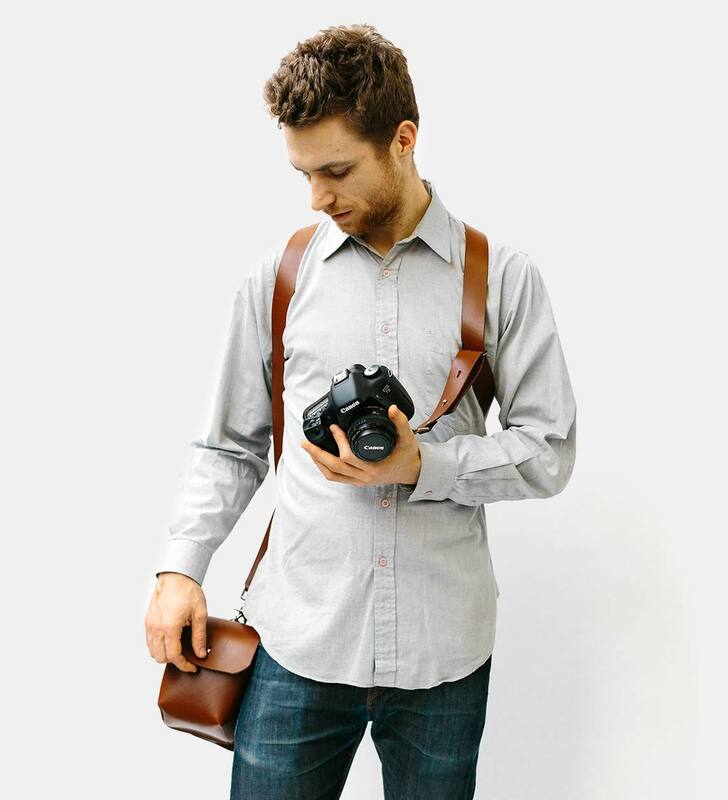 Fully adjustable Italian leather double camera holster. Please note there are two swivel snaps, one at the end of each strap. To connect the snap to your camera you would require a screw in mechanism, such as the Holdfast version, to the base of your camera to then attach to the swivel snap. 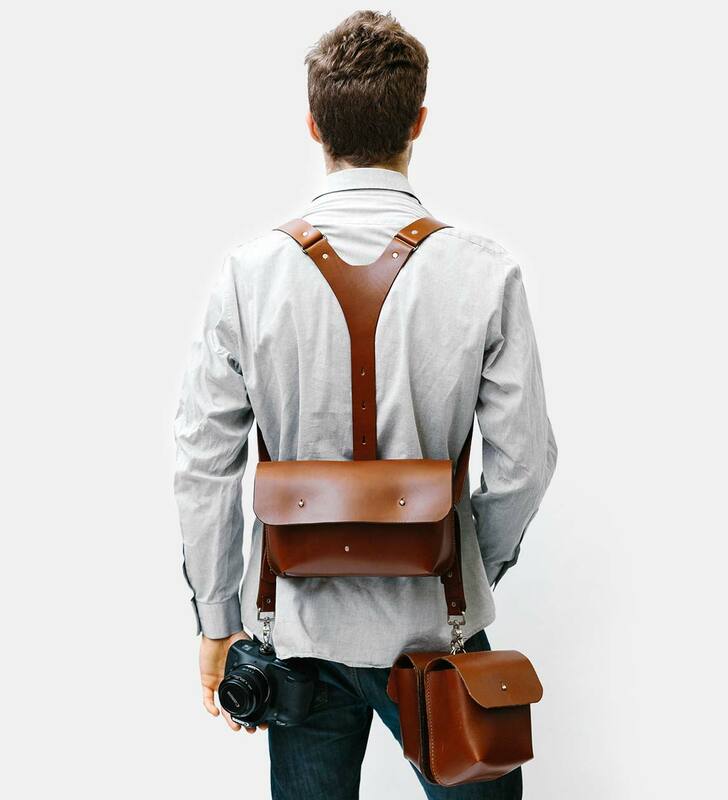 Please note that a “Wootten – Handmade in Melbourne” logo appears on the back holster portion on current stock. This strap is one size fits all with waist and height adjustment.